The beginning of the New Year often signals a time of reflection and looking forward. To remain viable in the job market, it is productive to apply that process to your resume as well. Follow the tips below to make sure your resume presents you in the best possible way in the New Year. When making updates, many job seekers just add new work experience and accomplishments to their existing resumes without taking time to cull out old or no-longer-relevant data. This approach produces a resume that is usually too wordy and too long to be effective in today’s job market. An alternative approach that helps you keep track of your older accomplishments and work history is to create a “master resume” document that retains all those past details. Savvy job seekers then pare down this comprehensive resume as needed to create a current version for the job search. It is often tempting to maintain every detail about work history because of emotional attachments to early accomplishments. However, those early accomplishments begin to work against you if they are still on your resume twenty years later. Think of your master resume as a comprehensive file of your work history and a repository for those memories of work about which you feel nostalgic. You get to remember how important those details have been in the formation of your professional image, but they do not interfere with your current search. Most hiring managers are only interested in the last ten to fifteen years of your work history. Conducting an annual review at the beginning of each New Year helps you keep your resume within that time frame to be most effective. Recording key accomplishments or new skills as soon as possible after the event helps you maintain an accurate record for use when you update your resume. Although the achievement may seem clear in your memory now, those details can fade over time. Creating a separate file of special accomplishments throughout the year makes the job of updating your master resume easier as well. Include all professional development and association activities as well as promotions and special projects completed and review that file at the beginning of each New Year when updating your resume. 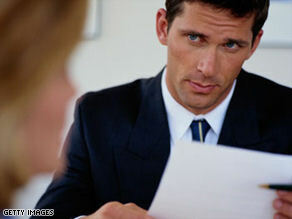 The title on your resume should convey the type of position in which you are interested. Objective statements are no longer used on resumes since they are about your own personal goals rather than your potential value to the company. Think about your core strengths and target position when creating a concise heading for the resume. The New Year is a great time to review the title to make sure it remains consistent with your current experience and goals. The initial summary in your resume needs to hold the reader’s attention and interest well enough to keep them reading. If you simply list all your talents and accomplishments, the reader has no context for who you are or the challenges you have overcome. Think of the summary as a very brief story with you as the hero. Hiring managers are more likely to hire someone with a consistently impressive record of professionalism as demonstrated in that story. Review the summary at the beginning of the New Year in conjunction with all the other updates discussed. Bullet points are a great vehicle to showcase your achievements, but be cautious about how many you use. Too many bullets in succession are likely to be overlooked by the hiring manager. Your most notable achievements may be lost in a lengthy list of bullet points. Be certain to look at the presentation style you are using for your bullets as well. A successful strategy for listing accomplishments is the “SAR” method. “S” represents the situation you encountered or the challenged you faced. “A” stands for the action you took to resolve the concerns. “R” details how your actions helped the company. By structuring your bullets in this way, you are also preparing yourself for the interview because you will have several scenarios ready to describe how your successful performance will benefit the new company.